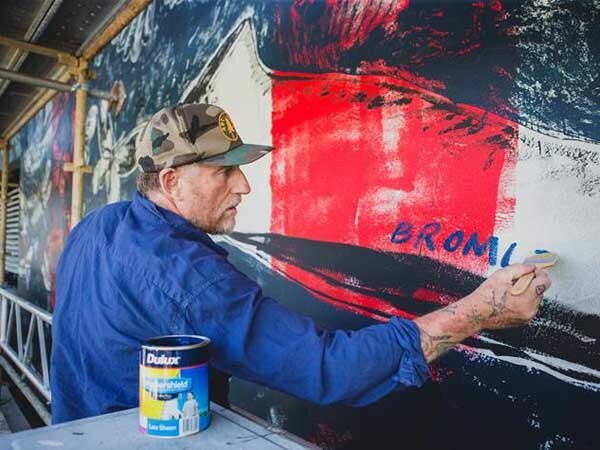 The ‘Art Meets Fashion’ project is a collaboration between Dulux Australia and Chapel Street Precinct and Australian artist, David Bromley who has selected a fashion-forward colour palette for the shopping district’s refreshing makeover. To be unveiled in November, the project involves giving featured shopfronts a makeover to rejuvenate the Toorak Road entrance of Chapel Street. Being a Chapel Street resident himself, Bromley will art-direct the project, which will be executed in his distinctive style, and also include a specially-designed mural. Dulux Colour Marketing Manager Rachel Oakley explains that the ‘Art Meets Fashion’ project is part of Dulux’s dedication to improving the places and spaces where people live and work. Observing that the Chapel Street Precinct was an iconic Melbourne landmark and a shopping district of choice for thousands of people every year, she said it felt great to be part of the initiative to breathe life back into such a significant destination. Given how colour has a transformative impact on the environment, Rachel said they looked forward to seeing Dulux’s quality paints showcased throughout the finished artwork, ensuring Chapel Street remains as enjoyable and appealing for years to come. Chapel Street Precinct spokesperson, John Lotton also looks forward to welcoming the public to see the newly refreshed streetscape. Noting that the project is a great way to capture and express the unique character of the Chapel Street area, John adds that they are really grateful for Dulux’s support and also delighted to involve their local business community, property owners and agents in this project.